The project was completed one week ahead of schedule, and delivered under budget. The procurement of the project through the Empa ii minor works framework enabled Woodhead to engage early on site and fast-tracked the process of meeting with the school to discuss all aspects of the delivery program, health and safety, and scope of works. The main challenge for this project was working on a live site that had 420 pupils in proximity of the works, and ensuring there was minimal disruption to teaching and the surrounding areas. • To counter any noise created during the works Woodhead created specific “working zones” to allow the school to continue teaching without excessive noise from the building works. • Assessments were made throughout the project to ensure that the movement of any vehicles and deliveries on-site would not affect either public activities or the schools activities. • Suitable segregation was agreed with the Head Teacher and maintained by Woodhead throughout the project to ensure that both the pupils and the public would not come into contact with any of the refurbishment works being carried out. Woodhead endeavor to make building a better experience for all, and working on a live school site allowed Woodhead to interact with pupils and ensure the children’s experience of construction was an entirely positive one. Pupils were split into key stage 1 and key stage 2 groups and were tasked with creating a mother’s day card. 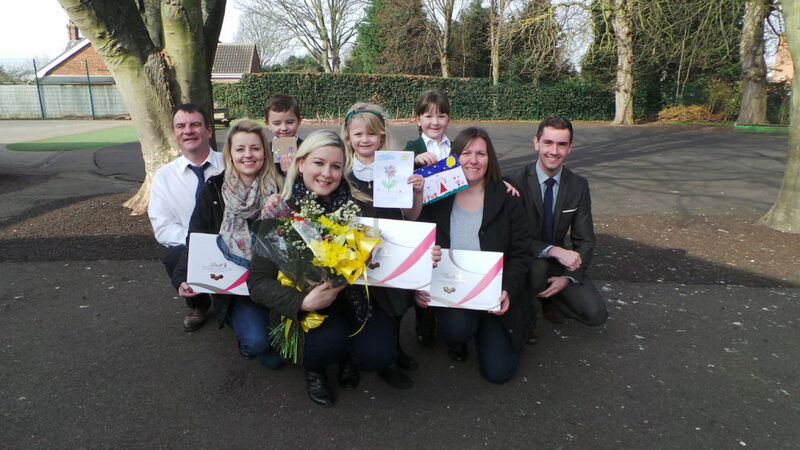 Woodhead donated prizes of flowers and chocolates to award to the competition winner, and runners-up. The winners were selected by the school teachers and the site managers, with the winners being announced in the assembly. Woodhead then presented the prizes to the children who in turn presented the prizes to their families. During the Easter period, Woodhead held a colouring competition for key stage 1 and 2 groups. This encouraged the pupil’s creativity, with the winners being the class that designed the best Easter egg. Woodhead then donated an assortment of goodies to the winning class. • 100% of all redundant ceiling tiles were recycled.